Looking for garage door services in Warren, Michigan to repair your broken garage door? Taylor Door Company is the No. 1 place to go to for all your garage door repairs in Warren, Michigan. As a member of the International Door Association for more than 30 years, Taylor Door stands behind its quality products. We strive to produce the best garage door services in Warren, Michigan, and we promise you’ll never pay more than $300 on any garage door repair. Get a free quote from us today by calling 586-755-6500. We also have other door parts available. Contact us for more pricing and repair information. Repair your Broken Garage Door in Warren, MI Today! 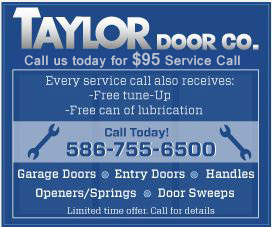 Taylor Door Company offers convenient, same-day garage door repairs in Warren, MI . 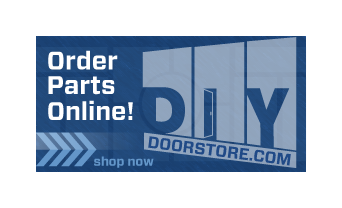 Whether you are looking to shop for parts or need other door services, Taylor Door Company is the best place for you. You name the repair and Taylor Door Company will fix it for you. Contact us today for more information.